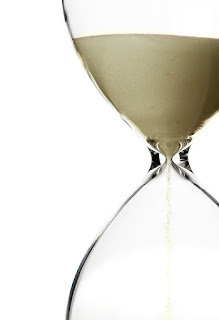 RI Bankruptcy Lawyer John Simonian: How Long Does A Foreclosure Take To Finish? Receiving notice that your home is going to be foreclosed on can cause you a great deal of anxiety. First, you might panic and start looking for ways to stop the action from going any farther and second, you might wonder how long the whole process will take – just in case you are not able to save your home and have to make plans to move. There are two types of foreclosure actions, and each state operates differently. Some states proceed with foreclosures through a judicial process, which means a lawsuit is filed and served on the homeowner, and eventually a judgment allowing sale of the home is entered. This type of case can take several months, and in some cases can last for years. The other type of case is a non-judicial case, and that is the main way foreclosures are handled in Rhode Island. A non-judicial foreclosure does not take as long as a judicial foreclosure and it is important to understand the steps. • Notice is given to the consumer that a mediation of foreclosure will begin. If this step does not yield a result, foreclosure may begin. The lender has to make at least two attempts to contact the borrower before taking the next step. • The next step is to send notice of foreclosure, and publish that notice for at least 30 days prior to a sale. • The notice must be in the paper once a week, for at least 3 weeks prior to the sale date and sent to the owner at least 30 days prior to the first date of publication. These non-judicial timelines sound confusing, and also relatively short. If you have received a notice that your house is going to be sold at foreclosure sale, you have the time between receipt of the notice and the sale to try and negotiate with the lender. This is where our office can help, but making sure the matter is proper, and raising any objection if a defect is identified with the case. Possible defects include the lender’s lack of legal right to foreclosure (referred to as standing) or a foreclosure taking place on an active duty military member. For more information about foreclosures, contact us at www.law-ri.com. We will help by coming up with solutions that work for you and have multiple locations to meet your needs for office visits.